O.E.B. Global 2017 will bring you to the forefront of learning and technology developments, give you new insights on opportunities and challenges that are changing the world of learning. Show you the latest best practice from leading organisations and allow you to meet, discuss and network with policy makers, higher education leaders, chief learning officers, technology & learning experts and many many more. O.E.B. Global 2017 will bring you to the forefront of learning and technology developments, give you new insights on opportunities and challenges that are changing the world of learning, show you the latest best practice from leading organisations and allow you to meet, discuss and network with policy makers, higher education leaders, chief learning officers, technology & learning experts, learning and development professionals, change managers, ICT administrators, online learning curriculum designers and many many more. Uncertainty is the defining characteristic of our age. Can we learn to live with it? Can we accept it, manage it and even thrive on it? We live in an age of acceleration. We are in the midst of a sea-change - a profound, transformative shift in knowledge, experience and perception. It is a new era defined by technology, globalisation, information and, above all, uncertainty. Our uncertainty is born of the rapid and continuing change around us. Technology is already developing faster than we can learn the skills we need to use it. Information is the world's most valuable commodity. Demographic change, political turbulence, economic challenges and environmental threats confront us. There has always been uncertainty but this is different. We are facing the end of stability. Are we ready for this new era? Are businesses, governments and societies really prepared for our uncertain future? Can we live with uncertainty? Could we benefit from it? How can we use volatility and instability to our advantage? How can we weather the storms? How should universities, colleges, schools and workplaces adapt? What should employers do now to plan for the flexible workforce they will need in the future? Can we learn uncertainty? Is it a language or an equation, a philosophy or a science? How should it be taught? And how can we learn uncertainty when the future of learning itself is uncertain? O.E.B. 2017 is about acknowledging uncertainty and preparing for it. It is about how transformative education, training and learning can equip businesses, organisations and individuals with the skills to survive and prosper in our new era. 12:00 - 13:15 : Higher Education Strategy: Putting Learners First? 12:00 - 12:30 : O.E.B. Spotlight Stage: What Happens if an Award-winning Director and 'Experience Designer' 'Unfolds' Education? 14:15 - 15:45 : Are you ready for the General Data Protection Regulation (G.D.P.R.) in May 2018? 16:30 - 17:30 : Good Cop versus Bad Cop: What Will They Make of Learning Analytics? 16:30 - 17:30 : Implementation and Integration: Is Everyone On Board? 17:45 - 19:00 : The Annual O.E.B. Debate! 12:00 - 13:15 : Provocations for Innovation: Are We Ready to Educate Creative Makers and Shapers? 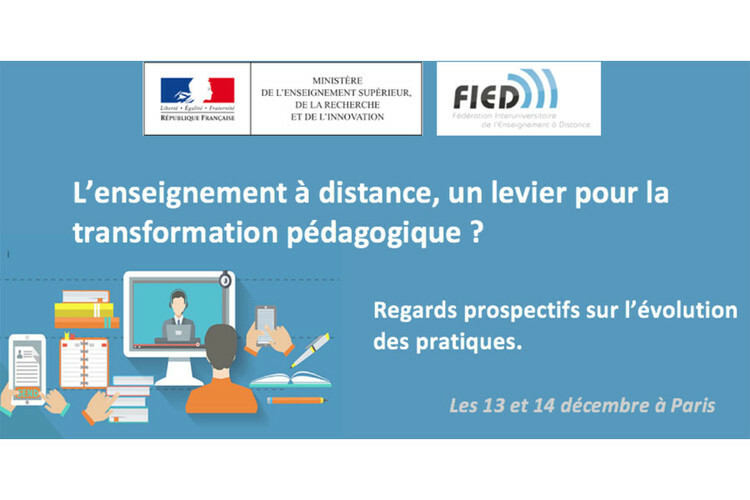 16:30 - 17:30 : Language Courses Online: What Is In It for the Learner? L'évènement est payant. L'inscription est obligatoire. Visitez le site de la conférence O.E.B. 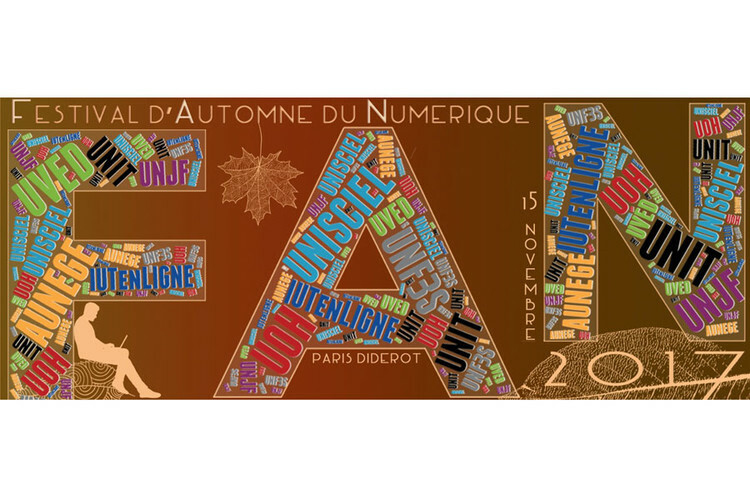 Festival d'Automne du Numérique 2017 Colloque de la FIED "L'enseignement à distance, un levier pour la transformation pédagogique ?"